The cover of the book is quirky and matches the title. showing a girl proposing a doctor. The title is apt too which is a rollercoaster of her life to find love and do unexpected things for love. 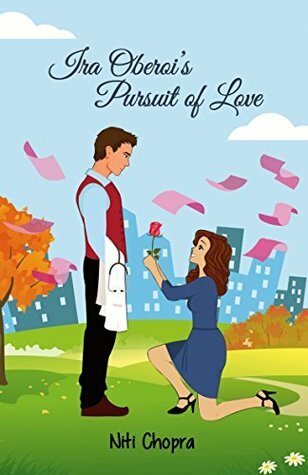 The book follows the story of Ira who is the protagonist of the story who while is in medical college falls in for one of her seniors named Raghav. The start of the book expresses the tension and moldings of a doctor along with the fun remembrance of college – freshers, hostel, friends and loads of studies to get through medical college. Somehow both of them fall in love. And then the book describes their love and updowns and falls. Iras parents are orthodox. When her mom finds out about ira love and the blunders she has been doing in college her mother’s world shatters but then Ira has self realisation about herself and sets back everything into the right place. This book is an easy and well written book. This book will involve you with it. It is definitely a fresh, 21st century love story. 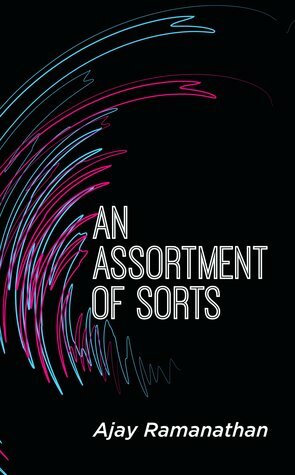 The book ‘An Assortment of Sorts’ is a collection of 109 poems that the author Ajay Ramanathan has written & compiled so far. A majority of the author’s work is personal in nature as they are a reflection of author’s personal experiences during various periods of his life and they predominantly deal with life, love, rejection, joys, and anecdotes etc. Inspired by realistic themes in art, the author would best like to classify his writing style as a whole under the genre of ‘realism’. Ajay truly means it when he says this book is an ‘Assortment’ due to the different kinds of flavour and variety in this book with regard to themes and topics. The cover is a simple black with scribbles of blue and red depicting chaos and calm together. The title sets in perfect as per the theme selected by the poet. It is a variety. It is a journey. It is a mixed collection of 109 poems by the poet. The poetry ranges from love, 21st century things like tinder, one night stands, miscommunication,introvertness, to college days and the various dimensions a poet sees. The poems have a personal touch and say that they’re from a personal experience itself which makes the reader feel involved in his life too. The poems are lengthy giving description of every incident. The poems are in the rhyme format. A few times in the book you’ll feel the rhymes are stretched and could have been done better. There are alot of relatable poems and lines you’ll come across that you will carry along with you. The titles are also named really well.